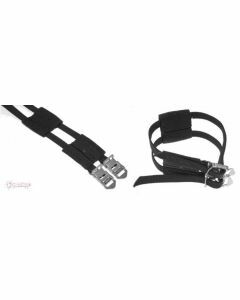 Super strong nylon double Toe Strap, a more stretch resistant material than leather, and its vegan friendly too. Includes nylon binding patch. Available in black, white or red.